There are three ways to quit smoking. 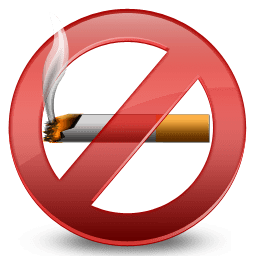 You can quit gradually, slowly lowering the amount of cigarettes you smoke each day until you are down to zero. You can quit and restart numerous times, which is very common. The last way is you can quit cold turkey. Of all the ways, this is the hardest because you are taking your body from a supply of nicotine that it gets every day and cutting that down to zero. Your body will not like this way and quitting cold turkey often leads back to smoking but not always. When you quit cold turkey, and you stay away from the cigarettes, you will have quit for good. It should be noted that quitting cold turkey is incredibly difficult, as was stated previously. Only three to ten per cent of people actually successfully quit smoking cold turkey. It is very difficult to do, but not impossible. So, how are you going to quit cold turkey? People often think of quitting cold turkey as something that you do without planning but that is just dooming yourself to failure. This is why you need to create a game plan. When you create a game plan, you will be able to set goals for yourself. Don’t just set the goal of quitting for the rest of your life. Set small goals of quitting for a day, then two days, then a week and so on. Pick a day on your calendar to be the day you quit, plan out your meals, and make sure your triggers are not going to be present in the first few days. In fact, pick a day of the month when you will be less stressed, and you will find you are less likely to go for a cigarette. The first few days are going to be the toughest, so you want them to be the most relaxing days of all. Remember the positive aspects of quitting cold turkey. The nicotine will leave your body faster, your health will improve faster and you will be through the worst of it faster. It is like taking off a band-aid, just do it fast and you will feel better for it. You are going to be very stressed when you quit cold turkey, and that is going to show through as you deal with cravings. If you are stressed, you will be more likely to go back to smoking. One extremely successful way of quitting smoking is to do so when you go on vacation. 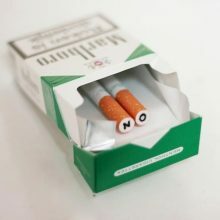 If you are going to Italy for a month, you can quit smoking and you will barely notice it because you are not stressed. You can also try long walks, yoga, soothing music and meditation to deal with your stress.